ITV has been accused of creating a “two-speed” regional news landscape in England after the broadcaster confirmed plans to slash its coverage. Media regulator Ofcom last week accepted ITV’s proposal to reduce the amount of regional news it will broadcast when a new licence comes into effect from 2015. 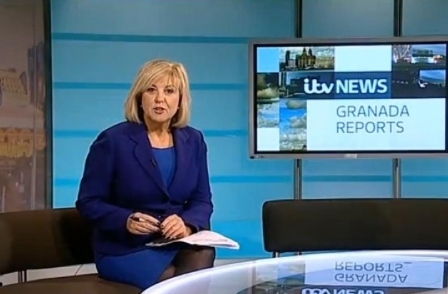 ITV’s regional evening news bulletins will retain their current 30-minute slots, but include only 20 minutes of local news, with the remainder being made up by what it terms “out of area” material from other regions. Lunchtime, late evening and weekend slots will also be cut. In its submission to Ofcom, ITV proposed that the changes to its main evening news programmes should apply to all its English regions. However, the watchdog has insisted that the current format is maintained beyond 2015 in London and in the north west of England region, covered by Granada. “We are going to have a very strange two-speed system where local news is good enough for the people of Manchester but not good enough for people in East Anglia,” said one ITV source. While the number of ‘news minutes’ will be cut for viewers in most regions, ITV will also create six extra sub regions in addition to its eight existing regions. This will mean that journalists working in its Anglia, Yorkshire, Central, Meridian and West & Westcountry news centres could work on two sets of packages on any given day. “Overall, we will actually be producing more news with fewer staff,” said the source. Broadcasting union Bectu has estimated there have been around 40 job losses across ITV’s regional newsrooms since it launched a voluntary redundancy programme last year to cut a previous roster of some 600 staff. The programme has been focused on technical staff and camera crews, with a small number of also believed to have taken voluntary redundancy. ITV refused to reveal how many jobs have been lost since the start of the programme, though a spokesperson said it “is making no new redundancy proposals in any region”. Spencer MacDonald, supervising official for independent broadcasters at Bectu, said members were worried about how the quality of ITV’s output could be maintained under the new arrangement. In Granada, confusion still surrounds what will happen to newsroom staff in light of Ofcom’s decision to shield it from ITV’s proposed news minutes cut. It was thought that Granada could be hit hard by any new round of redundancies but unions are now hopeful that current staffing levels can be maintained. Sue Harris, national broadcast organiser at the National Union of Journalists, told Press Gazette: “They have already been shedding jobs in the run up to this. They were going to cut further jobs at Granada but Ofcom seem to have stopped them. Ashley Derricott, an NUJ representative at Granada, said there was still “concern about staffing levels and workplace stress” in the newsroom, pointing out that headcount had fallen around 15 per cent since this time last year. However, Derricott welcomed Ofcom’s decision not to allow ITV to cut Granada’s news minutes in line with the rest of the country as “a victory for common sense over internal cost-cutting”. In the spring, the NUJ twice wrote to a group of local MPs in the North West, including Maria Eagle, Jack Straw and Andrew Stunell, urging them to put pressure on ITV to maintain its current level of coverage in the region. MPs brought an Early Day Motion in the House of Parliament in May calling on Ofcom to insist that ITV maintains previous levels of local news output. The last major round of redundancies at ITV News came in 2008 when it axed around 430 staff from its regional newsrooms leaving around 600 staff remaining. At the time, ITV was in financial trouble and committed to a cost-cutting programme. But the NUJ has said the current proposals have come when the company is in a healthier financial position, having posted a pre-tax profit of £464 million in 2012, up from £398 million the previous year.